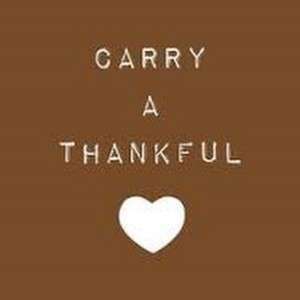 It’s Thanksgiving week and many of you are headed to the airport or are packing your bags to visit friends, family, and loved ones. Thanksgiving is an emotional time for many. It’s the big holiday leading up to even bigger holidays. The stores are filled with holiday ornaments and often we look for things that aren’t working in our lives. Maybe your career isn’t on track. Maybe your relationship is uncertain. Maybe you’re suffering from a recent breakup or can’t get over an ex. All of these feelings and more are very real. However, Thanksgiving is one of my favorite holidays of the year. There have been some Thanksgiving holidays that I wished I could stay under the covers. Yes, even the most positive person, myself, has had a few Thanksgivings that I’d like to forget. Still, it’s a time to pause and think about those in your life. The memories that still bring a smile to your face, the possibilities of the future, and most importantly, think about living in the present right now. As I embark on a road trip to visit my family for Thanksgiving, I thought I’d share 12 things I’m grateful for this Thanksgiving and hope that you chime in with your gratitude list as well. I’m spending it with my happily married parents. I have a huge girlfriend network online and IRL, who I consider my extended family. I have a boyfriend, who I adore, who gets me and is the love of my life. I live in a beautiful place; Silicon Beach near the Pacific in sunny California. I enjoy daily walks around boats and water and watch sunsets over the Pacific. I have helped so many singles find love and have been responsible for many marriages. I’m friends with many of my ex’s and we think of each other fondly. I work out with an amazing trainer to keep my mind, body, and soul all in shape. I’m building a multi-media empire about dating, love, and romance. Cyber-Dating Expert has become a top online dating advice site in the world! I’m getting ready to release the audio book version of my first book, The Perils of Cyber-Dating: Confessions of a Hopeful Romantic Looking for Love Online and have an amazing producer! I stay true to my heart and true to my soul and always come from a genuine place of authenticity. All in all, I’m healthy, happy, and live in the moment to make each moment special. That, my friends is a priceless feeling. Gratitude can change your day, your moments and add more joy to your life. So grab your gratitude journal or start one day. Sneak a note into your wish pillow. Create a vision board for your life. Know that the possibilities are endless! Please take a moment and make your list. You might be surprised at the results. Sign up for the Weekly Flirt newsletter and watch out for our Cyber Monday special!